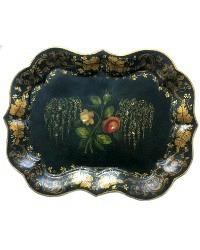 Antique English Tole Tray with Mother of Pearl inlays. 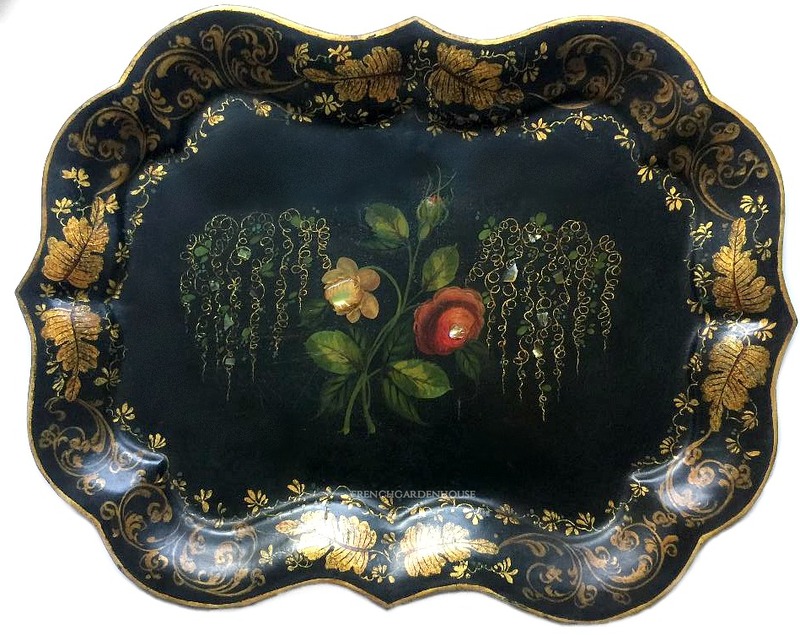 Beyond fabulous, this exquisite 19th century tray will express your personal style, with stories from the past. 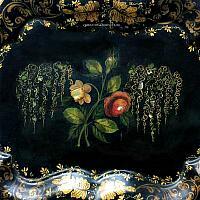 Rare to find a tray with inlaid mother of pearl that is metal, not paper mache. A gorgeous border of parcel gilt foliate design surrounds the scalloped and curved border. 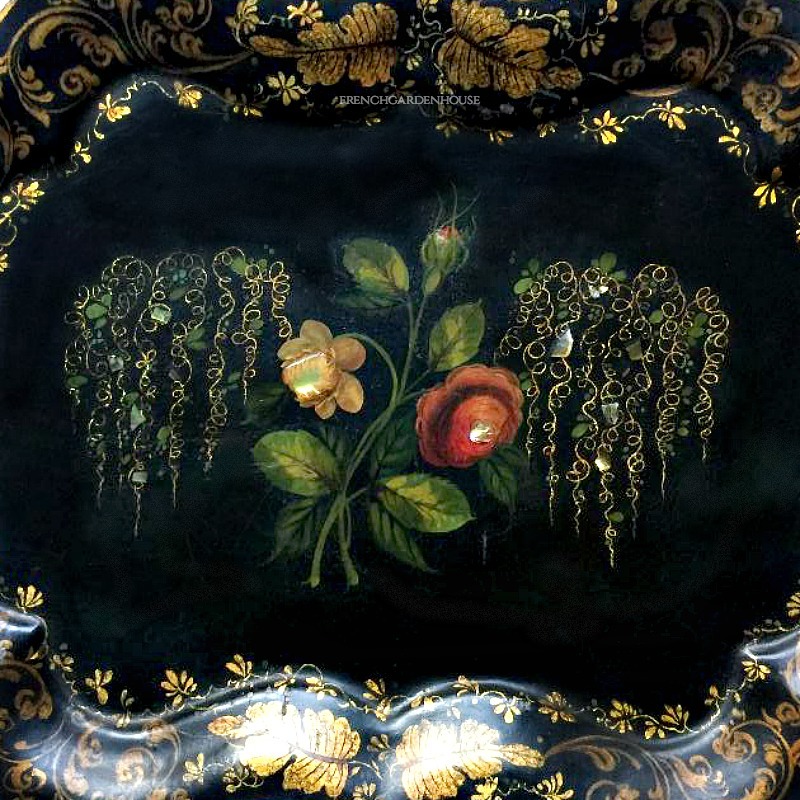 The center painting is influenced by the era's love of flowers, two beautiful flowers, a rose and another garden flower are joined by a sweet pink rose bud. Outstanding colors that are still deep and bright and rich of red, golden yellow, green and pink, are enhanced with the gilt painting. Each flower is embellished with a mother of pearl inlay, absolutely stunning. 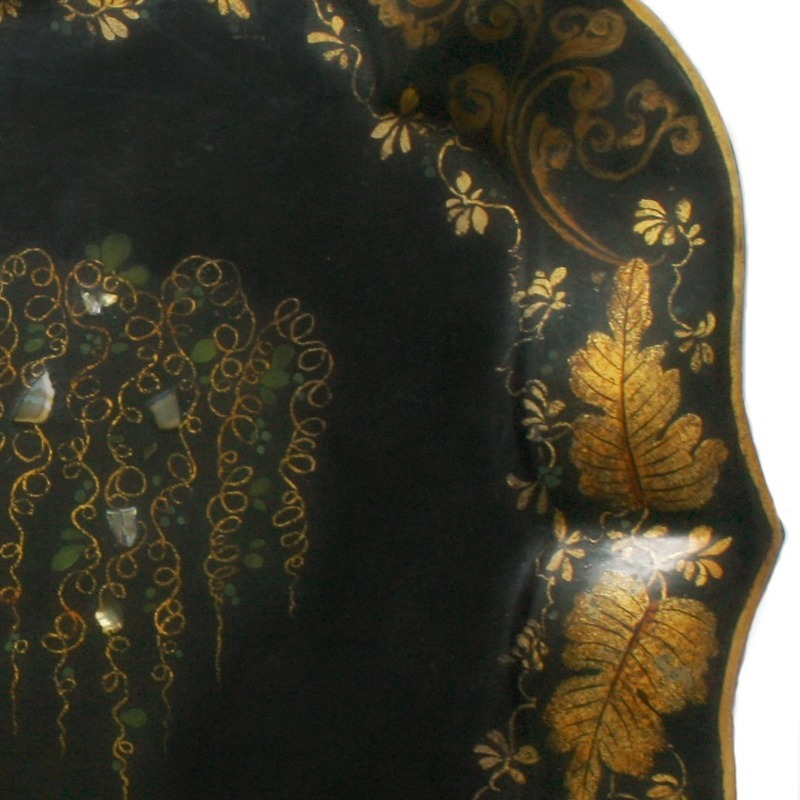 The side painted designs are set with mop inlay as well, the design reminds me of lush weeping willow trees. An exceptional addition to your collection, perfect to display on your mantel, on top of your French Armoire, or anywhere else, this truly is a piece of art, as well as history. Some wear to the rims, especially on the back, this was displayed with great care.